You are here: Home / Feature / Will Emerging Markets Get Their Own iPhone? 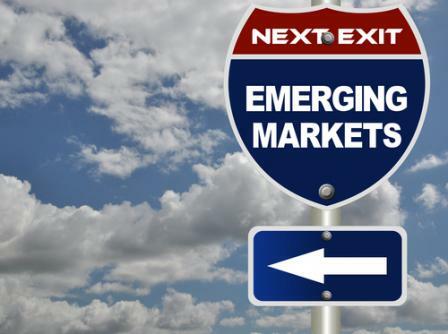 Will Emerging Markets Get Their Own iPhone? It’s common to walk down almost any street in a country like the United States and see more than one iPhone. Whether it’s used for simple phone calls or checking Twitter, the iPhone is the definition of pervasive technology in developed countries. While this is true for nations like the United States and many European countries, emerging markets like Brazil, Russia, India and China are just starting to have the characteristics of a fully developed market, which means there can be quite the disparity between classes. This, in turn, makes the standard pricing and features found on the current iPhone models a difficult fit. 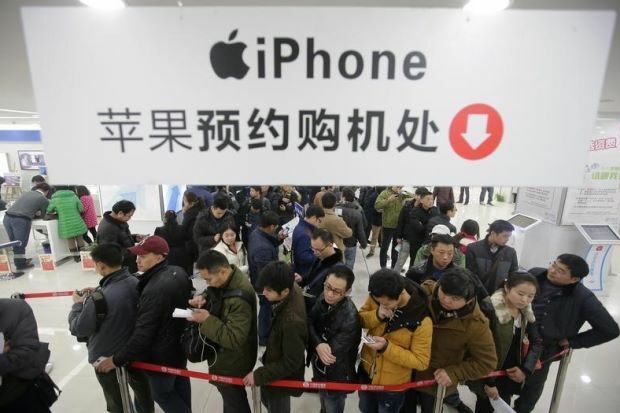 Most of the countries considered to have a developing market don’t normally receive subsidies on new phones, making the $600 price tag of the current iPhone model out of reach for the millions of mobile phone users in these markets. Currently, the cheapest iPhone in the U.S. without service contract will run you $450. In India, a new iPhone 4S costs around $425, and the 5S starts at $850! These prices won’t break Apple into new markets any time soon, but it’s important for them to get into these soon, as the Internet is being used by nearly 3 billion people in the world and the need for access to it is practically a requirement. As Interush emphasizes, the increasing pervasiveness of cell phone ownership throughout the world is a positive trend. Mobile phones that aren’t even full-fledged smartphones are revolutionizing the lives of the people in developing markets – including farmers, educators and even healthcare providers. With information at their fingertips, farmers can now find up-to-the-minute stats on the current going price for their crops so they don’t get taken advantage of, educators can find answers to questions without the need for a desktop computer and healthcare providers can give better care. So if the iPhone costs $400 or more, what does an emerging market like India do? Well, the most popular trend is for older, less expensive iPhones to rule the market. This is why Apple actually resumed production of the aging iPhone 4 for markets in India, Indonesia and Brazil. When rumors of the less expensive iPhone 5C started to leak out, it was believed that this was Apple’s answer to these new markets. But when the 5C was released, the price wasn’t where it needed to be for this device to be a candidate. It was rumored that Apple didn’t make the 5C to be cheap for consumers – they made it to be cheap for them to make so they could keep their profit margins up. The reality is that the Internet is more accessible and usable now than ever before, so these emerging markets are ripe for smartphones with at least basic Internet access. As Interush notes on their website: “Over the past 20 years, the Internet has grown at a tremendous pace, and the successful companies and products in the field of digital technology have grown and progressed through user referrals.”While the older iPhone 4 is fine for this, these markets will soon need more, so how does Apple handle that? Well, Apple’s best bet would be to make an iPhone especially for these markets: a version of their current phone that has the same speed and cellular connection as the new version, but lacks some of the features like Bluetooth, WiFi and motion tracking. This new iteration of the iPhone could use a less-expensive shell like the 5C, and could forego luxuries like the fingerprint scanner and enhanced motion processor found in the 5S. This would still be an amazing piece of hardware, just downgraded from the higher-end versions somewhat to allow for a lower price and more accessibility. By saving on items that aren’t necessary for phone and Internet usage, Apple could see a boom in sales – including app, music and movie sales – in markets they never could get into. An emerging market-specific iPhone could run no more than $200 without any subsidies to be truly effective. These lower-end phones could open up the new markets to Apple, and when the markets finally grow out of their current infancy, they will be well-accustomed to Apple and want the better versions. With the growth in the segment of the population recently that can afford luxuries like a smart phone, the market is opening up for change and Apple seems to be glad to take advantage of it. Over 70% of the world growth over the next few years is expected to come from emerging markets like China and India. With this huge growth expectation, it only makes sense for a company the size of Apple to jump at the chance to serve them. This would be a very good thing for Apple. Mobile devices offer a world of information to people just waking up to see that they’re members of a global community, and bringing them an iPhone that they can afford should be one of Apple’s top priorities. While sales in countries like the U.S. and England are great, the real money is to be made in markets like China and India. Why Did Apple Sneak a U2 Album Onto Your iPhone?